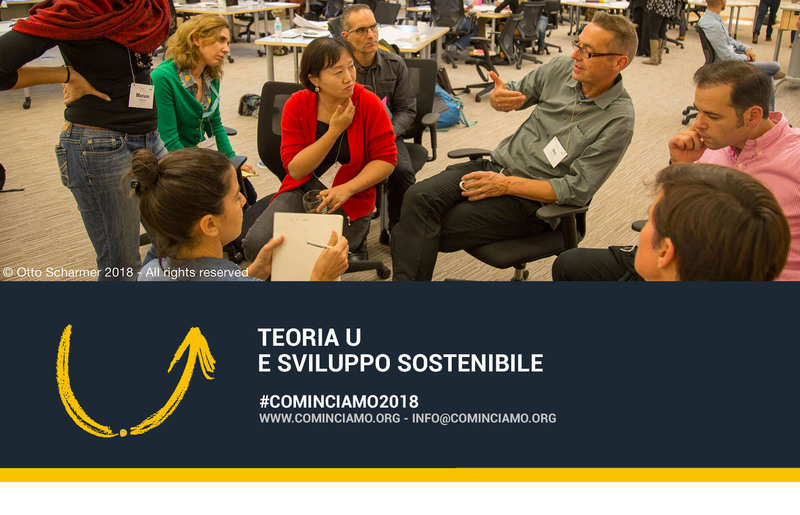 There is a profound connection between sustainable development and Theory U, the method founded by MIT professor Otto Scharmer who will be meeting with Italian companies in Milan on 19 June. The method designed by this founder of the Presencing Institute, the international study centre for social and leadership change, makes an individual transformation process possible. It allows us to view complications from a new perspective and to restore value to our work build a more ingrained sense of community to our lives. Sustainable development is no longer limited to technical issues. It is also a social and cultural issue that has to do with people’s awareness and human relationships. Scharmer writes in his book The Essentials of Theory U: Core Principles and Applications “Everybody knows that we won’t be able to overcome the trials we are facing today – the loss of our environment, of our society and our humanity – simply by adding an initiative or an idea to the mix. In order to tackle these challenges, we need to take a step back and observe the system from a broader perspective”. Scharmer affirms that we see the practical and visible effect of the lack of responsible economy but we also need to get to the root of the problem and understand the deep cause that got us into this situation. Peoplerise associate Jake Esman points out that “…the goal of the programmes we develop at companies through the use of Scharmer’s Theory U is to raise people’s awareness of the inner condition that is the source of our attention and intention and, consequently, of individual and collective actions. It’s a kind of an eye-opening discipline that allows us to see things from a far-reaching observation point”. Sustainable development cannot be dealt with by motionless compartments. There is an intricate connection between economic, environmental and social issues. Jake continues by stating that “…sustainable development calls for a dynamic approach to change and what we do at Peoplerise is teach people how to find a healthy balance for the entire system – for the employees, the clients, the market and the environment as well. This is why Theory U is useful in the creation of more responsible markets. It’s a sensible approach that adapts to a variety of different circumstances (including cultural conditions) because it doesn’t have a dualistic view of problems. Nothing is just black or white here. The theory encourages dialogue and change, beginning with the specific characteristics of any given situation through the use of a scientific approach”. 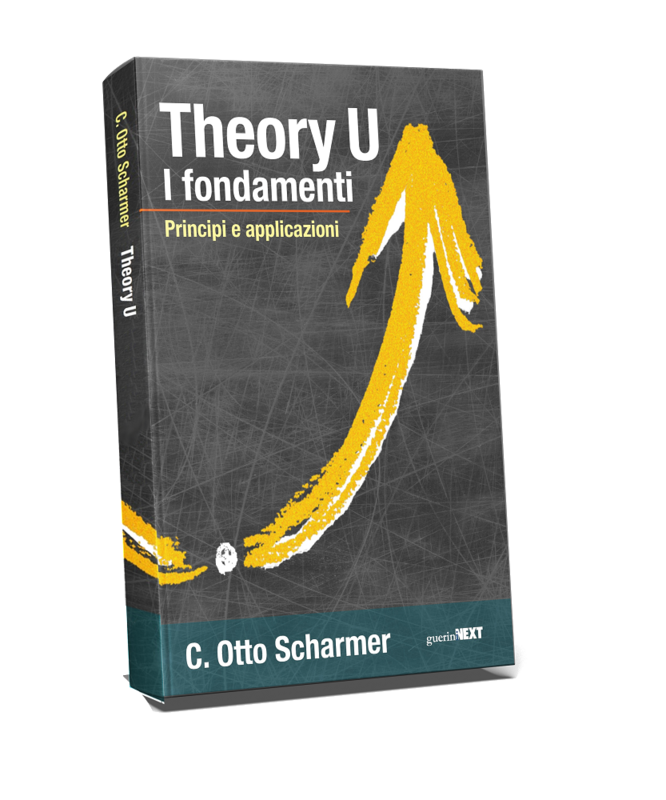 Otto Scharmer’s Theory U identifies the methods adopted by people who have succeeded in changing themselves and the environment they live in. It is derived from the scientific research he conducted, comparing and analyzing over 100 interviews with leaders from all over the world including CEOs, politicians, artists, athletes, musicians and NGO representatives who, through their own efforts, have succeeded in changing their environments for the better. Jake concludes by explaining: “We aim to guide the perspectives of people working at single companies: from an egocentric view focused upon the interests of one’s own small part of the action to a broader, ecosystemic outlook that enables them to consider the different aspects and subjects involved in the process. In order to obtain this result, we help people develop a higher awareness of who they are and cultivate a greater sense of empathy and belonging”.